An experienced attorney is your best legal resource. St. Peter Law Offices , P.C. is committed to providing its clients with effective and efficient professional representation. Incorporation, LLC Organization, hiring practices, guarantees, corporate taxes, contracts, sales, manufacturing, etc. Creation and execution of wills for both testators and inheritors, establishment of Powers of Attorney, as well as trust creation and administration. 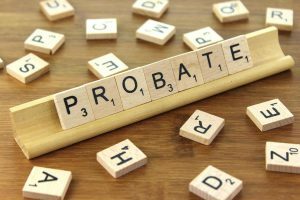 Ensuring efficient and just probate of estates and administration of trusts, including cases of intestacy and contested wills. Montana real property law, including deeds, acquisition, estates in land, conveyancing, future use control, and nonpossessory interest. With experience in many fields of civil law, our legal team is prepared to help you succeed with your lawsuit. Don C. St. Peter and Linda St. Peter established their law practice with the intention of providing a smaller more personal, client-oriented law firm. Both Don and Linda had practiced in larger firms in Missoula, Montana, before deciding to develop their own business centered on quality legal services. They have focused their practice on serving individuals, businesses, nonprofit corporations, and families. Their Missoula firm was opened in July 1993 as St. Peter and Warren, P.C. In December 2000, St. Peter & Warren, P.C. built their own building on North Reserve Street in Missoula, a busy business corridor which was then, in its early development. In July 2008, the firm’s name was changed to St. Peter Law Offices. advice and development of qualified retirement and non-qualified plans, the firm sponsors a prototype defined contribution plan. Don and Linda St. Peter enjoy their participation in the growth and development of the business community and the support of Montana families through their law practice. St. Peter Law Offices, P.C., focuses its legal representation to maintain the trust and support its clients place in the legal services it provides. We look forward to the opportunity to represent you in any of your legal matters. Don is admitted to practice before the Montana Supreme Court, the United States District Court for the District of Montana, and the United States Tax Court. His practice emphasizes retirement plans, employee benefits, estate planning, low income housing tax credit projects and corporate and commercial transactions. Linda’s practice includes general litigation, business law, estate planning, adoptions, conservatorship and guardianship proceedings. She is admitted to practice before the Montana Supreme Court, the United States District Court for the District of Montana, and the Ninth Circuit Court of Appeals. Mike’s practice includes all facets of litigation, including contract disputes, estate proceedings, and construction suits. 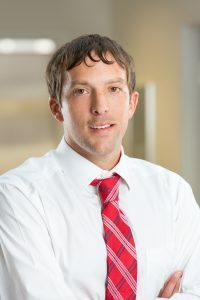 Prior to working for St. Peter Law Offices, Mike oversaw the Business Services Division in the Montana Secretary of State’s Office and has expertise in small business legal issues, including corporate, limited liability company, and business entity formation, UCC filings, and business regulation. Jason’s practice emphasizes general estate planning as well as federal estate tax, gift tax, and generation skipping transfer tax planning, estate and trust administration, entity formation and taxation, business planning, corporate and commercial transactions, employee benefits, general tax planning, and tax controversies and procedure. Jason Harby has become a shareholder at St. Peter Law Offices, P.C.